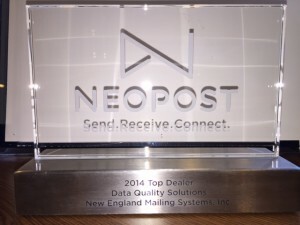 Each year over two billion dollars flow through the Neopost funding system to support our customers. 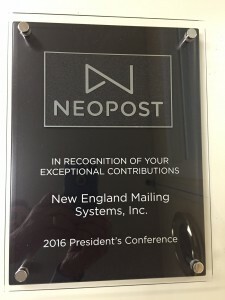 As a reminder, Neopost does not sell postage, we mange customers’ funding accounts on behalf of, and based on the deposits into, the USPS accounts. Attached you will find Postage Payment Form for the Neopost and Hasler meters. These documents provide a “How it Works” overview of the three funding options for commercial meters, along with the different processes to deposit funds by check and ACH with the USPS, or paying for postage under NeoFunds and TotalFunds program. When migrating customers to the Neopost brand meters, please make sure to provide them with the attached Neopost postage payment information for Neopost as they will have a new funding account number and payment mailing address. To allow you to answer customer questions on the commercial funding options, below you will find some tips information to ensure a great customer funding experience. – When prepaying by check, the customer should include the USPS provided coupon which identifies their individual POC or TMS account. In addition, the customer should include the POC or TMS funding accounts on the check, should the check become separated from the USPS coupon. – When prepaying by wire, the customer should include their POC or TMS funding account number in the wire description. See the Postage Payment Form for more details. – Checks and wires are received by the USPS partner bank and deposited into a USPS bank account throughout the day. Neopost receives detailed files from the USPS providing the amount and funding account number, if provided. These funds are available for immediate download. – The checks and wires that are received by the USPS bank without a funding account number are deposited into the USPS bank account, but the funds are not able to be deposited into a customer account because Neopost receives the check/wire information, but no account information. These funds are held until the correct account can be identified. Since these funds are deposited in the USPS bank account, they have strict identification requirements for Neopost to follow when moving these funds to a customer account. These requirements protect the customer and their funds. 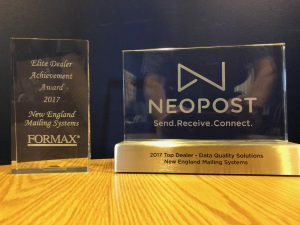 – Hasler brand customers migrating to Neopost brand meters will have a new funding account number as well as new USPS payment mailing address or wire routing number. Please make sure to provide customers with the updated information and make sure they destroy unused USPS coupons. – Hasler brand customers migrating to Neopost brand meters will have a new funding account number and will need to be set up with ACH. Please send the ACH paperwork to POCAdmin@Neopost.com for processing at least three days prior to meeting with the customer to install the meter. Make sure to include the current TMS account on the ACH application to allow us to confirm if an annual fee was already charged to the customer account. The Hasler brand company ID # is 1060798198. – When paying NeoFunds and TotalFunds invoices please make sure the customer invoice stub is returned with the check. In addition, the customer should include the NeoFunds and TotalFunds account number on the check, should the check become separated from the invoice. – NeoFunds and TotalFunds is a payment option managed by Neopost to assist the customer pay for postage. Please be aware that the remittance address for NeoFunds /TotalFunds are different from the USPS addresses. NeoFunds / TotalFunds checks that are mailed to the USPS will be deposited in the POC and TMS accounts and will not be credited toward the line of credit. – Hasler brand customers migrating to Neopost brand meters will have a new funding account number and payment mailing address. Please make sure to provide customers with the attached Neopost payment address information for Neopost and make sure they destroy unused USPS coupons.